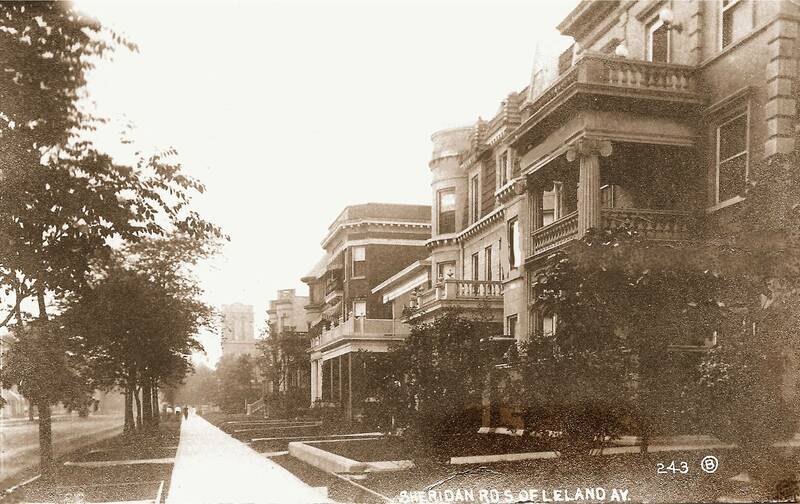 Another 100-year-old-view of Sheridan Road, looking south from Leland. This stretch has changed a lot over the last century, with homes coming and going, businesses coming and going... There are a few pockets of Uptown that still look like this, but not many. If you ever feel like taking a stroll through the past, take a walk down Castlewood to see samples of some of these vintage homes.